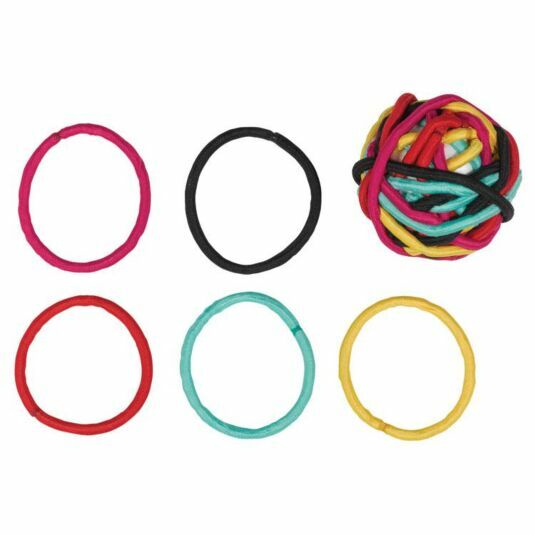 Get that annoying hair out of your face with these colourful Happy Jackson hair bands. Wrapped around a polystyrene ball are 30 snag free elastics. Perfect for pony tails, pig tails and buns. They come in 5 different colours: yellow, pink, red, black and green. With typical Happy Jackson wit and humour, the label comes with the words ‘hey hair…GET OUTTA MY FACE!’.